At Thursday, 12th of May 2016 The Croatian Medical Association was honored by visit of the World Bank – Washington, and it’s representatives Mrs Aneesa Arur (Senior Public Health Specialist), Mrs Aparnaa Somanthan (Senior Economist, Health, Nutrition and Population Global Practice) and Mr Marko Balenović (Information Assistant) from the Croatia country office of the WB. The meeting was attended by Professor Željko Krznarić, MD, PhD, the President of the Croatian Medical Association, Mr Tomislav Božek, MD, the Secretary General of the CMA, Prof Darija Vranešić Bender, PhD, the Scientific Co-ordinator of EPODE project of the CMA and Mrs Ivona Matišić, mag.oec., the Head Office of the CMA. The reason for this important visit was preceded by a successful teleconference held last week between the World Bank, NICE (The National Institute for Health and Care Excellence) and CMA regarding the development of clinical guidelines of professional societies of the Croatian Medical Association. Professor Željko Krznarić presented the organizational structure of the Croatian Medical Association, the work of professional societies and branches and education of its members through a number of congresses, conferences, symposia, expert meetings and training courses that generated over 70 guidelines through the last 10 years. In a very active communication of all participants, there were presented a number of outstanding issues of Croatian health system and the possibility of implementation of new models and activities. Our guests from the World Bank in Washington have expressed particular interest in the health care system by asking a number of questions with the aim of familiarizing with the issue. 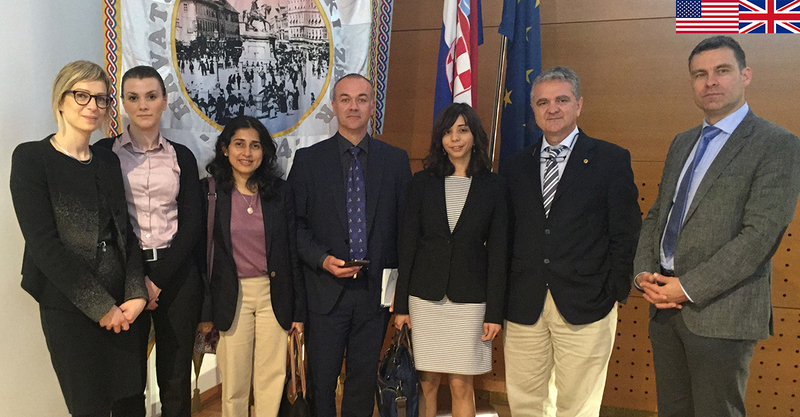 President of the CMA, Professor Željko Krznarić, took the opportunity to introduce them to the daily work of the Croatian Medical Association, after taking them through the rooms of the CMA where are expert meetings regularly taking place. Participants concluded that there is mutual interest in co-operation with a view to improving the health care system, and World Bank, through cooperation with the Ministry of Finance is willing to support the activities of the Croatian Medical Association.